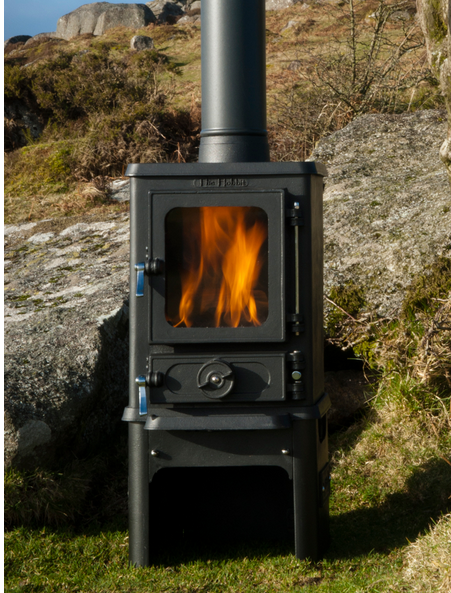 The Hobbit stove is a small stove with a lot of heat! 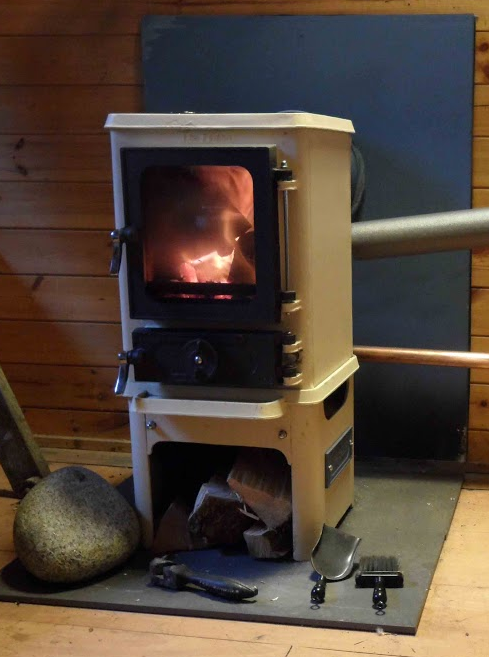 The output is 4kw and can heat a room in no time. 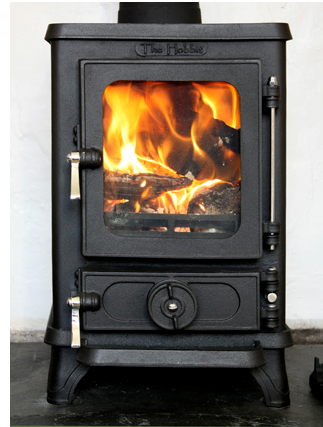 The stove is made from solid cast iron which retains heat for a long time after burning unlike steel stoves. Cast iron makes the stove very strong and sturdy too. 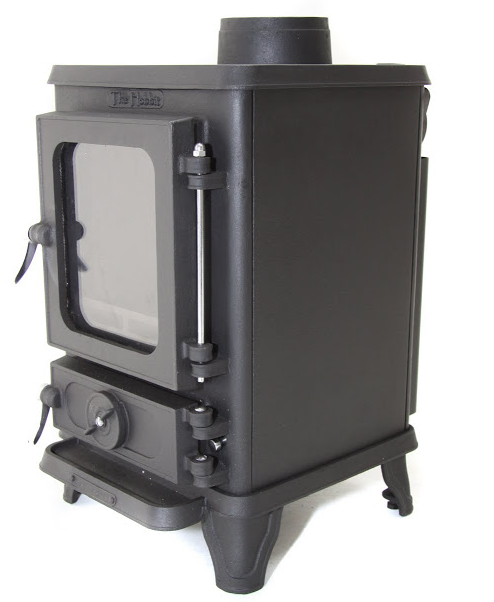 This stove is ideal for small spaces such as bell tents, boats, caravans, sheds or even your home and has the important benefit of being EN approved too. The stove is the pinnacle of modern energy efficiency by ensuring clean burning with it's secondary combustion technology and has been built to include glass airwash efficiency. 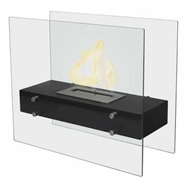 Glass airwash means that when burning wood or coal the picture glass will remain clear and the emissions and ash deposits are reduced. 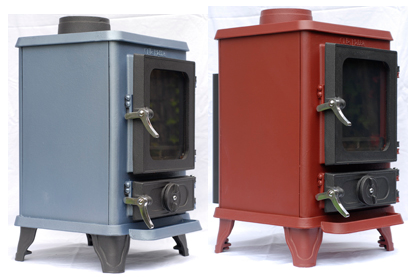 These stoves are small and are designed to efficiently use every piece of fuel used to its maximum potential. 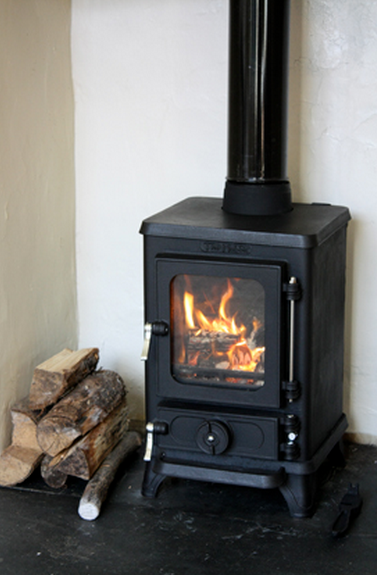 Please note the stove comes black as standard but if you would like to colour your Hobbit with our Stovebright heat resistant paint this is an extra £36.00. Please contact us for information. 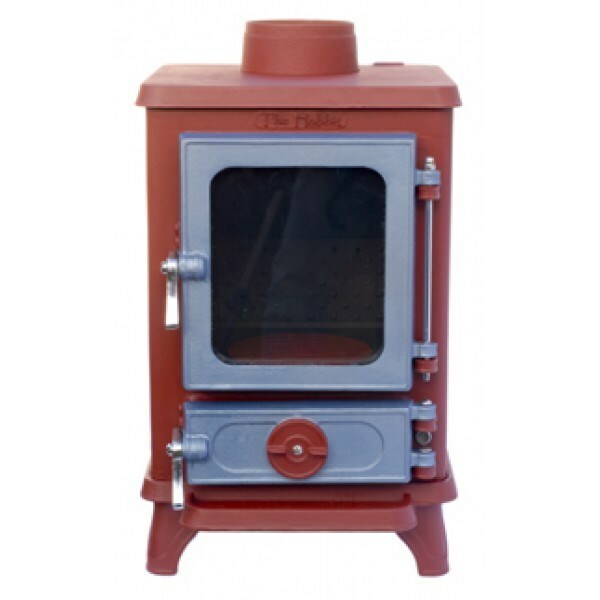 This stove is perfect for numerous scenarios and because of its small footprint it may not need the building work necessary for fitting a larger new stove. 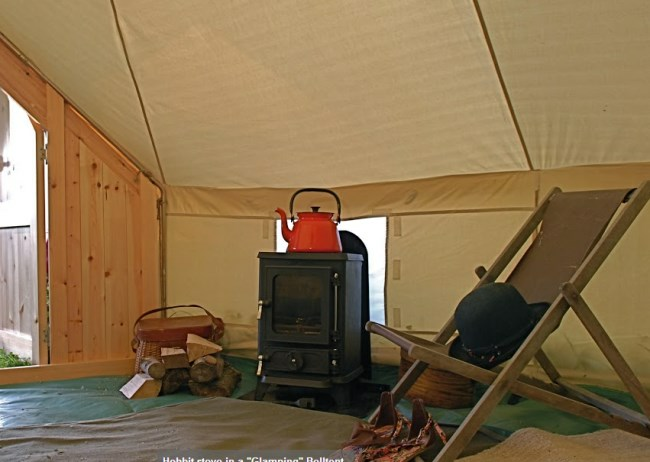 The stove can even be used to cook on or heat water in a kettle when camping or glamping! 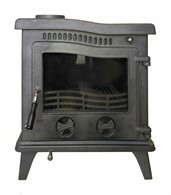 There are many accessories also available for the stove including a galley rail for a stove on the move, back boiler, and coal grates. Please see our other listings for information. 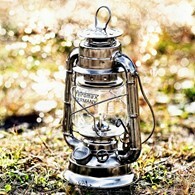 There are no reviews for Hobbit Small Wood Burning Stove Bell.